Premiere by trackidblog ~ Stefano Di Miceli - Mystic Rhythm (Original Mix) (3-4-1 Cuts) - Track? !D. Mystic Rhythm is the first work out on 3-4-1 Cuts. The author is Stefano De Miceli from Wats Records, an Italian artist long time active in the electronic scene as well as resident dj at Amnesia club of Milano from 2012. For this release he presents us 2 exclusive tracks out of the ordinary. The pushing and bumping rhythms recall Chicago / Detroit atmospheres of the ‘90s, and with his particular raw and ravy style makes the listener stay constantly on the track. 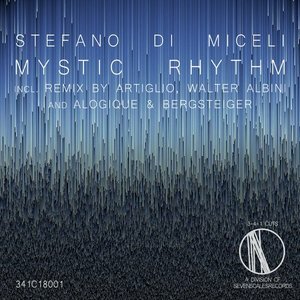 The project includes 3 remixes by swiss artists: Alogique & Bergsteiger as remixer of Mystic Rhythm while Artiglio and Walter Albini for Into the fog.